Tarot Favole - Tarot Bulgaria ltd. 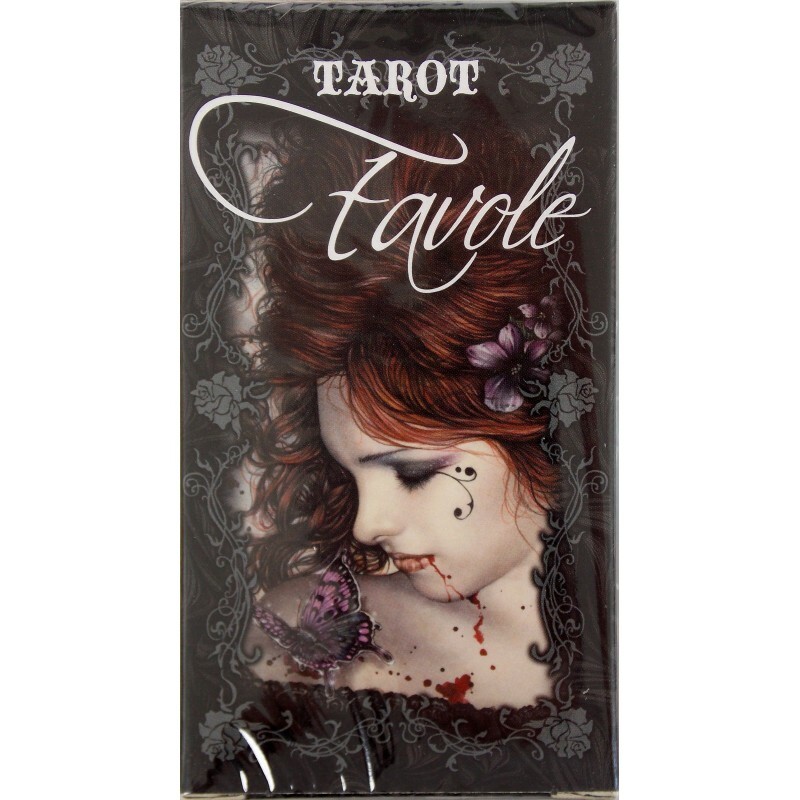 The Favole Tarot is a dark gem of gothic art by Victoria Frances. A rising star in fantasy illustration, Francés has wowed Europe and is rapidly gaining fans in the U.S. 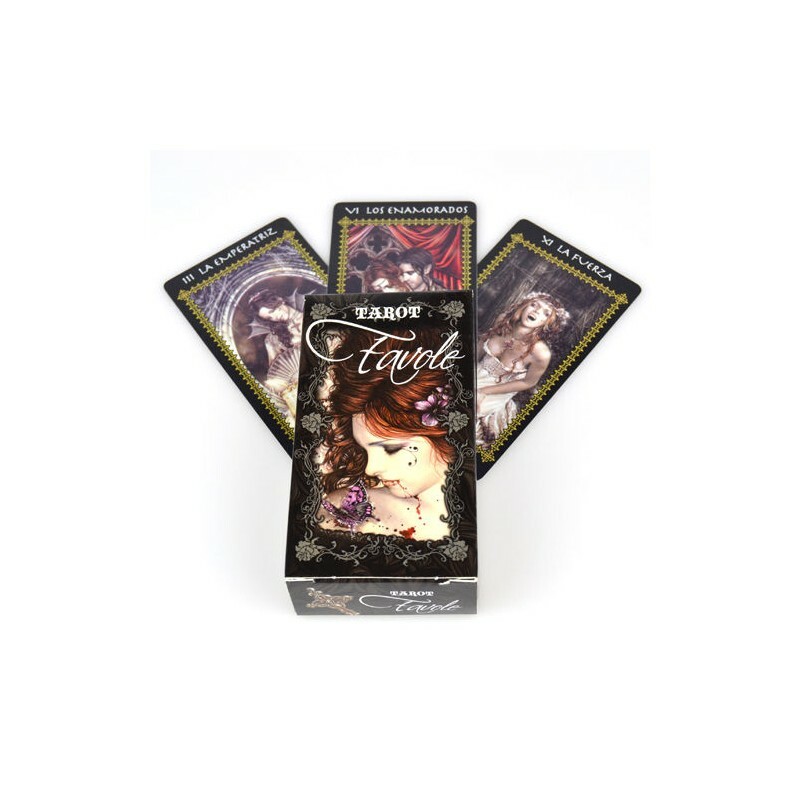 The stunning Favole Tarot showcases this young illustrator’s signature Gothic Romantic style, with themes and characters inspired by Anne Rice, H. P. Lovecraft, and pre-Raphaelite paintings. Bask in the splendor of this dreamy, timeless world, haunted by beautiful vampires, dark fairies, and other mysterious creatures of the night. The suits in the Favole Tarot diverge from the Rider-Waite tradition, you’ll find crosses, masks, roses, and butterflies. While the deck has lushly illustrated majors, it follows the European tradition in the minors and has repetitive pip cards instead of tarot scenes. Deck includes 78 full-color cards and instruction booklet (in English, Spanish, French and Portuguese).